The Shimansky Diamond Experience at The Rockwell, which was launched almost a year ago, provides Cape Town’s tour guides and operators with exceptional, tailor-made diamond tours that completely delight their clients. Glowing reviews and a consistent 5-star Tripadvisor rating is testimony to how this unique diamond experience has wowed visitors from the moment it opened doors in the trendy De Waterkant village of Greenpoint. Situated at The Rockwell All Suite Hotel on Prestwich Street, this premier Shimanksy establishment, ideal for tour groups, includes easy access via the dedicated tour bus parking and touring of the diamond cutting and polishing operations, the design studio, the state-of-the-art jewellery workshop and the extraordinary 1200m² showroom. There is time and space to also relax at the stylish bar lounge which offers contemporary wine, craft gin and whiskey tastings. If you often guide groups of five or less, you may be interested in finding out about the highly exclusive Secret Diamond Chamber Experience. WHAT CAN YOUR VISITORS EXPECT FROM THE SHIMANSKY DIAMOND EXPERIENCE AT THE ROCKWELL? The booking system and dedicated tour bus parking ensure that your group’s arrival is quick, efficient and hassle-free. You can relax as our professional guides are on hand to meet, greet and lead guests on the fascinating multi-lingual, 45-minute tour. Tours are currently offered in English, Afrikaans, Mandarin, Russian, French, German and Italian. Diamonds, formed around 3 billion years ago in the Earth’s deep mantle under extreme heat conditions, are a wonder of Nature that never fail to captivate imaginations. The stories of South Africa’s incredible diamond heritage just happen to be the richest in the world, and our knowledgeable specialists will enthral your clients. The journey of every single Shimansky diamond, which are all conflict-free and of South African origin, is literally one that is traced from mine to finger. Guests will learn about the extraordinary uniqueness of each diamond, formed and shaped first by Mother Nature, and then brought to a new sparkling life by Shimansky Master Craftsmen. As they tour the 21st Century facilities, they will witness first-hand the transformation of the rough diamonds of the Earth into the cut and polished celebrities of the signature Shimansky jewellery pieces that characterize this iconic brand. Guests are amazed at the extraordinary levels of skill and expertise that are required, and the dedication and authenticity that ensures that every stone, hand selected from the mines, is analysed and graded according to the highest standards of the Gemological Institute of America (GIA-certified). Entering the luxurious and spacious showroom, alight with diamond fire, literally takes the breath away. The dazzling displays of diamond and tanzanite jewellery showcase what can be created when Nature’s bounty meets human passion, skill and ingenuity. 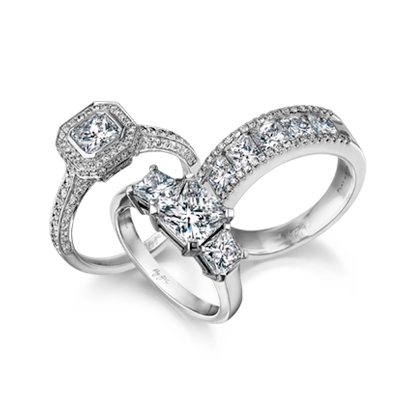 Worldwide, the Shimansky brand is set apart by the pioneering diamond cuts and jewellery designs of ultimate Master Diamond Craftsman, Yair Shimansky. Here, guests get to appreciate true innovations that tastefully draw illustrious and sophisticated traditions into the 21st Century. For some in your group, the fascinating learning and sensorial experience delivered by this premium diamond tour will be more than satisfying enough. But, there will inevitably be those whose hearts are set on a pendant, a bracelet or a ring that will mark their special time in Cape Town forever. Some will enjoy browsing and selecting in the showroom. Others will be inspired by the creativity all around them. This is a unique diamond tour that will offer your guests an entirely customised diamond experience. Your guests, who have their own ideas of a unique jewellery design, can choose from a wide selection of GIA-certified loose diamonds, as well as tanzanite; take a seat in our design studio and consult with our jewellery designers to co-create their own masterpiece. Their diamond experience is deepened as they learn also about the precious metals we use – apart from silver and gold, Shimansky jewellers are notable platinum specialists. Designs co-created with your guests on the diamond tour will be brought to life by our expert jewellers within 48 hours. The Shimansky Diamond Experience at The Rockwell also provides your guests with the opportunities to learn about, shop or co-create exclusive tanzanite jewellery. As the only precious stone utterly exclusive to the African continent, tanzanite jewellery has become a special focus of international travellers visiting South Africa. There’s plenty of opportunity for guests to relax on the diamond tour. Our stylish bar lounge, tranquil ambiance in a stunning setting and attentive service invite guests to feel most welcome. Inspired tastings of premium wines, craft gins and whiskey generously round off a Cape Town diamond experience imbued with the professionalism, uniqueness and fine character that upholds your brand as an exclusive tour operator. The Shimansky Diamond Experience at The Rockwell is available to group tours 7 days a week between 09h00 and 20h00. If you haven’t personally experienced our Diamond Experience yet, we invite you to schedule a site visit to see first-hand what your visitors can expect.